When you mouse over a Google image search result, you'll see a +1 button that lets you recommend the image to the people that follow in Google+. 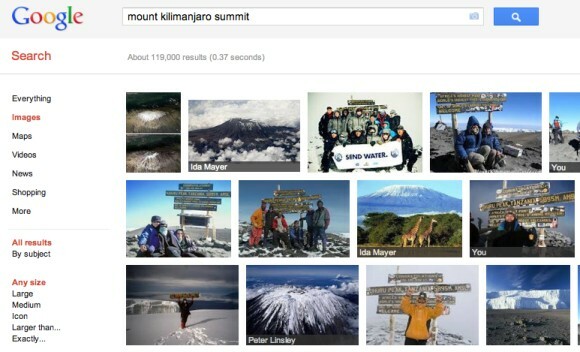 At some point, Google removed the social features from the image search engine and now only relies on the +1 button to provide social recommendations. 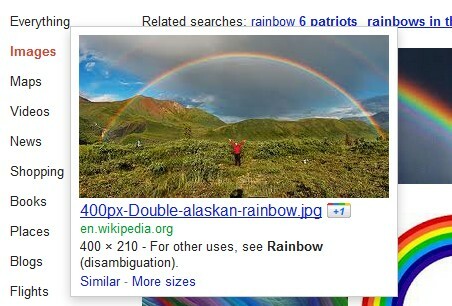 The nice thing is that Google annotates image results with the relevant people that +1'd the images. The social layer is no longer a separate section, but it's less comprehensive: the previous version included "pictures that your friends and other contacts have published publicly to the web on photo-sharing sites like Picasa Web Albums and Flickr". The "results from your social circle" were probably less relevant since Google generated the social circles from your Gmail contacts, Google Talk buddies, the people you follow in Google Buzz and Twitter. It's likely that the social circles were just an approximation of the circles you can create in Google+ and Google will phase out this feature.